Downy wants you to be more huggable but I’m done with Downy. Fabric softeners literally stink. If there’s one thing I hate, it’s things that are scented. Downy’s new spots are trying to put the love back into laundry detergent by putting people who care about each other onto a couch and making them hug. And if there’s one thing I can’t stand more than hugging actual smelly people, it’s being forced, for five minutes, to watch smelly people hug. I can’t imagine the stench that emanated off of the Downy dosed attire. And does anybody actually believe that these people aren’t actors? I’d give each performance a B- at best. 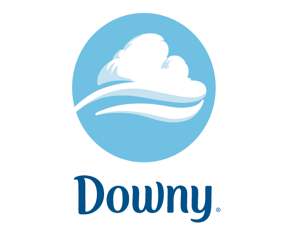 Downy describes the horrifying pseudo scientific chemical details of what makes their detergent smell by calling them ‘perfume micro-capsules’. The whole micro-capsule phenomenon is patented and it looks like Downy is no stranger to plagiarism with this latest commercial looking a lot like Wren’s commercial that saw ‘strangers’ (actors) kissing for the first time. To Downy’s credit though, at least hugging is remotely related to the product; I’m still trying to figure out exactly what jeans and kissing intrinsically have to do with each other. I guess the spot entitled “Be More Huggable with Downy” just means that no one will want to hug me without their detergent. But I think I’ll survive without the need to be more huggable, thank you.